2014 Free Fall Movies | A Savings WOW! Are you looking for some fun and inexpensive things to do with the family? 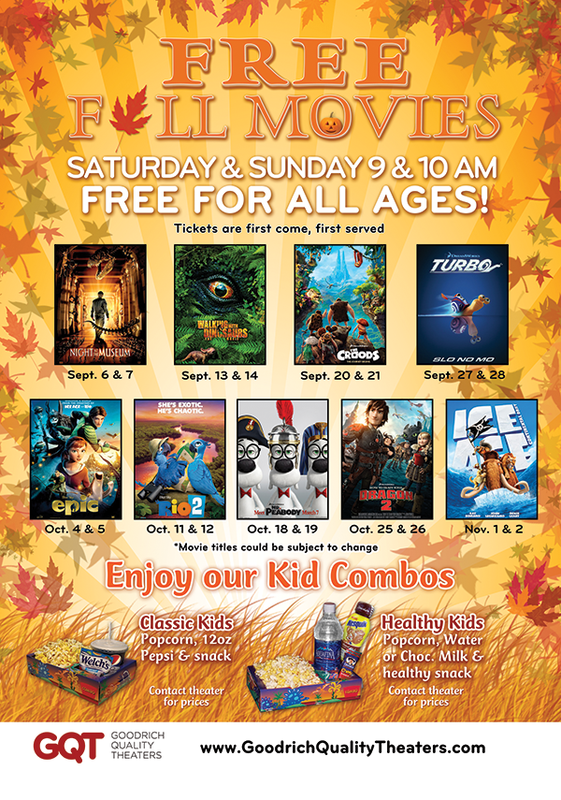 Here are the free movies this fall for all ages on Saturdays and Sundays at 9 am and 10 am. These are playing at all Goodrich Quality Theaters. Check out the other entertainment deals going on right now!